Today I experienced a moment that made me proud to be a teacher. 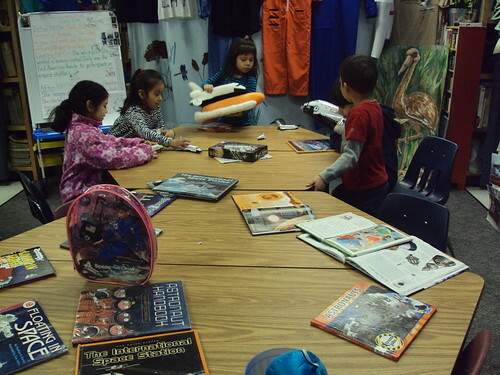 It was one of those moments that makes you look around and say to yourself, This is what a classroom SHOULD look like. This afternoon, after an hour of morning State Testing and an hour of afternoon testing, my students were focusing on finishing their Boston Tea Party Tasks (part of a larger hyperdoc). They needed to discover the events, people, and reasons for the Boston Tea Party. Yes, that would be 2 green screens, several groups collaborating, and a whole lot of learning going on! They are posting final videos this week on our website. One of the best features of CUE RockStar events are the small sessions. Because the sessions are generally 10:1 – or smaller in some cases – AND 2 hours, attendees truly get individualized attention. Everyone gets to experience the tools and ideas first hand while surrounded by knowledgable educators. The energy in the sessions is amazing. We are all learning from one another! For me, one of the most memorable sessions was one in which a high school teacher was inspired to recreate her assessments. She had her students reading The Glass Menagerie. After discussing different tools, she decided to play around with Animoto. One thing led to another and soon her excitement let to a whole new way of assessing her students on the book. She created a video for her students to watch. From here, her students will respond to the prompt creating a video using Animoto! It was such an awesome idea, and she was so enthusiastic and inspiring I just had to share this story. This is why I LOVE CUE RockStar! Unfortunately, I do not have the teacher’s example, but I do have an example of something that my students created on Animoto. Today began our Second Trimester Benchmark Assessments. Fortunately, I am in a 1:1 Chromebook classroom. 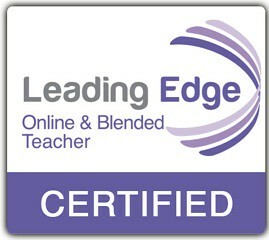 This means that my students are able to take the assessment online. 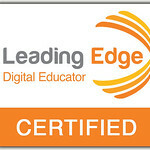 My students work online daily, so this is no big deal – or so I thought. The students had 1 open ended question to answer. As I was checking them, I noticed that two boys, who sat next to each other, had the same wording for their answer. My immediate thought was, “Oh great, they cheated.” That wasn’t really the case. And that’s when it hit me. 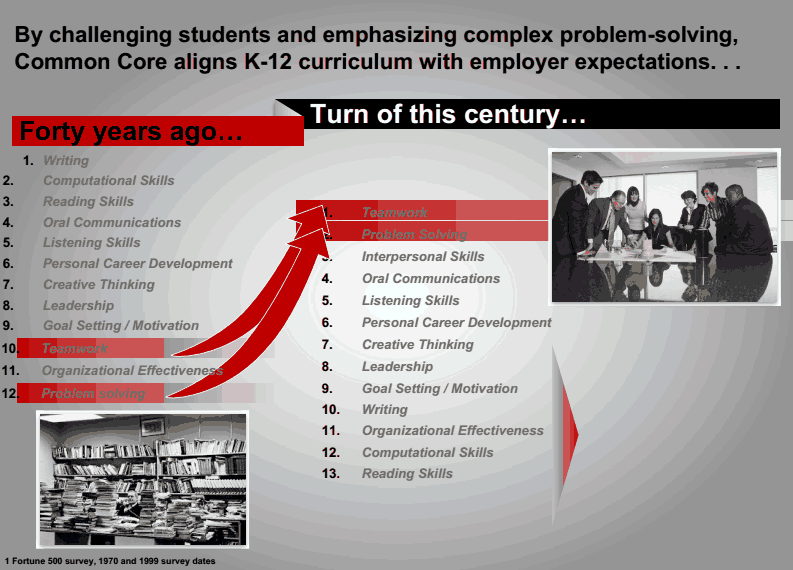 With or without Common Core, we still have a disconnect between how students learn, and how we ‘record’ their knowledge. 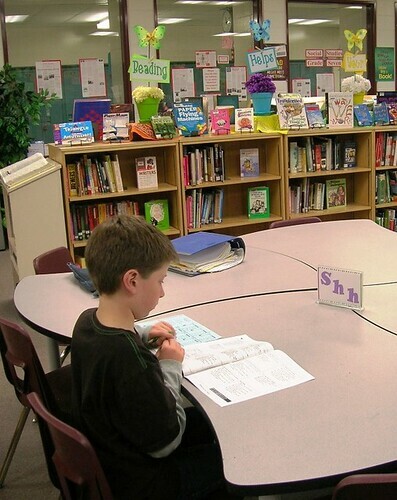 Common Core has students working and collaborating together. 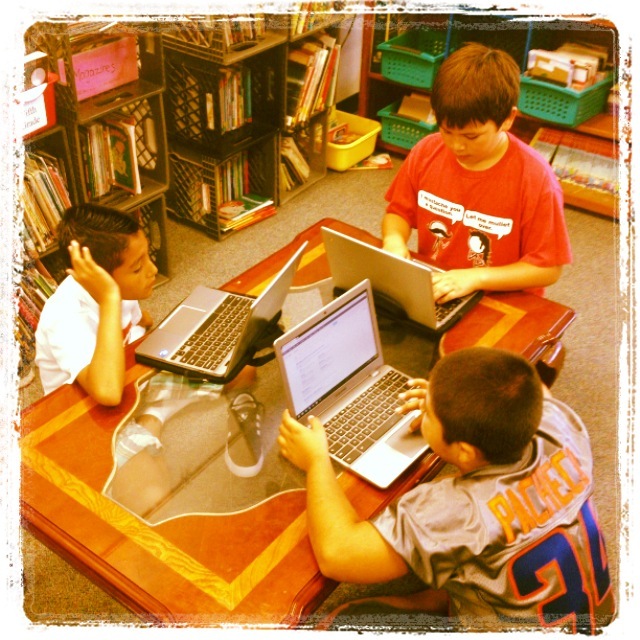 Common Core encourages students to problem solve in groups, using technology to assist them. And then what do we do? We (not just my district) then decide that in order to show us their knowledge, they are to take a test, on their own – in isolation. I’m sure I’m not the only one that sees this disconnect. How is it that we expect ALL students to do well when we teach, and they learn, in one way; then have them take a test in isolation? No wonder my students thought nothing of helping each other on the Benchmark Assessment, it’s what they do daily. Here’s a crazy idea: Let’s ditch the tests altogether. Yup, class tests, district assessments, state, national, PARCC, and SBAC. As a nation we need to focus on learning, problem solving skills, collaboration, and teamwork. THESE are the skills that employers are looking for, not can someone take a test on their own.